“I believe you took a photo for the Boston Herald American in January 1977 of a little girl and another of her mother that were published in the paper. The fire took place on Jan. 21, 1977, on 173 West Sixth St. in South Boston." So began the message that photographer Stanley Forman received this July on his Facebook page. The message would lead to both a reunion and a hidden past revealed. Forman, now a photographer for NewsCenter 5, had won three Pulitzer Prizes while working for the Boston Herald. His forte, then and now, is breaking news and fires. "I am not sure if you would still have these pictures or more pictures that were not published. I am the little girl in the picture, Tammi,” the Facebook posting went on to say. Forman's compelling photos had captured a tragedy, and the girl in his pictures wanted to know more. "It was one of the most intense fires I had ever been at. Knowing there were people trapped in the building and watching firefighters' attempts to get to them was very dramatic," said Forman. Four people died in the fire, including Tammi's 6-year-old brother John. 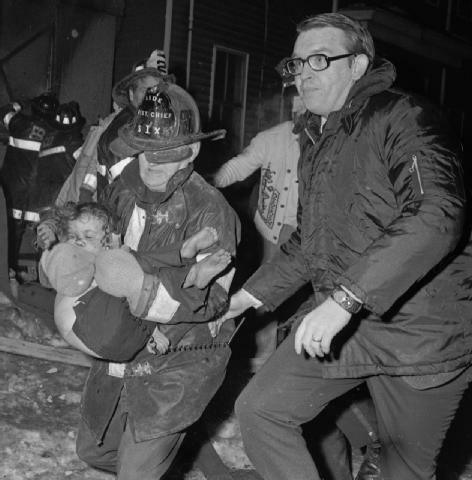 Her mother, Ella May Kurtz, 30, was rescued, but died a few weeks later from her injuries. But Forman's pictures also captured Tammi's miraculous rescue. "When I got there the first shot I took was of firefighter George Girvan rushing a 3-year-old to safety after she was passed to him from firefighters who rescued her from the fire," he said. "I did not know at the time it was a girl," Forman said. Forman had dropped off some of the pictures at the firehouse, including those of Alfred Chase, who the photos show being treated with oxygen after stumbling out of building. After a few days of coverage in the newspaper, he thought the story had come to end. Tammi Brownlee spent eight months in the hospital and then moved to Arizona for ten years before returning to South Boston. At first she lived with family and later with two foster families. 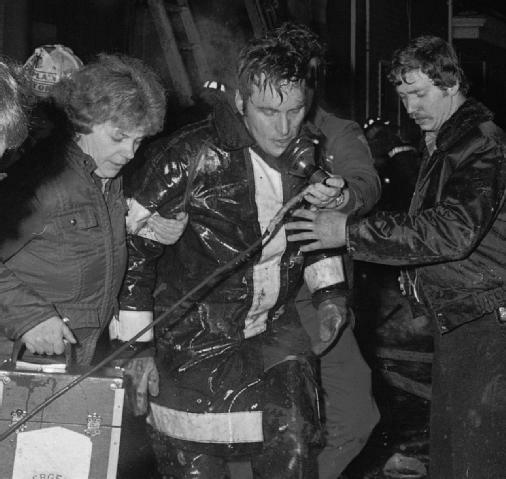 Thirty-three years after the fire, she went to the Boston Public Library to search for clues. She found Forman's pictures on the newspaper's front page and contacted him. "This fire would have been another tragic fire that I have covered over my many years in this business," Forman said. "But then this e-mail came from Tammi and almost immediately I knew exactly which photos Tammi was talking about." Earlier this summer, Forman joined a crew from for an interview with Tammi. After the interview, they took Tammi to South Boston for a surprise. "The fire scene is now a vacant fenced in lot owned by the city. As Tammi and I walked up to the scene she was looking at this man coming towards us. She seemed confused as to who this man could be," Forman said. "When I told her this was Alfred Chase, she knew exactly who he was from the newspaper clippings she had read and was taken aback," he said. "He remembered locating her in the fire room and dragging her to safety with the help of other firefighters and passing her off to safety. It was a very emotional meeting for all," Forman said. But Tammi's search did not end there. Fifteen years ago she learned she had two half siblings who had been given up for adoption before she was born. "I had searched for years on adoption registry websites, hoping that they had put on there that they were looking for their birth mother or birth father," Tammi said. "When I started investigating the fire, everything fell into place." Last month with help from the state, Brownlee found her sister Eleanor Doherty and just this week her brother David. "It's a happy ending. It is what I have been waiting for, for a long time. It is family," Tammi said. Along with her two children, Tammi brought her boyfriend of 10 years to the interview. Chad King is a Cape Cod firefighter. I guess firefighters are my protectors,” Tammi said. See more photographs from the fire here.